While the scourge of opioids and rash of deaths due to heroin and related opiate drugs on our streets has received enormous attention, there is another threat lurking in our hospitals that is taking lives of innocent and vulnerable patients unnecessarily. 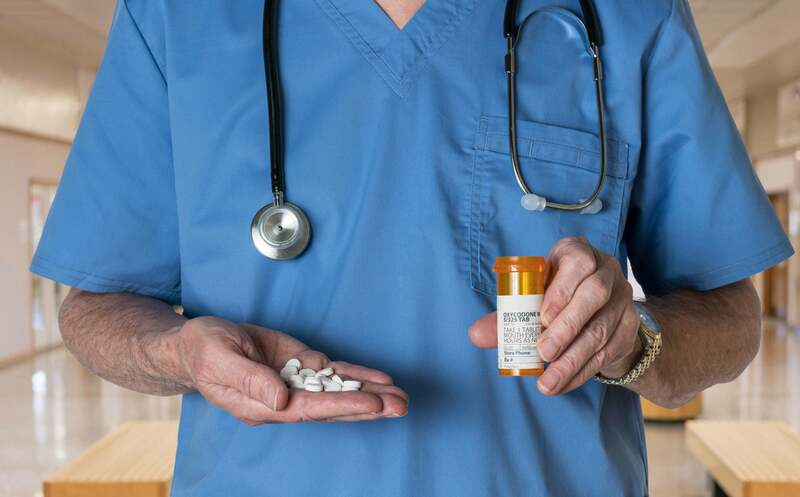 Feldman Shepherd attorneys have handled cases in hospitals throughout Pennsylvania in which patients who are prescribed seemingly appropriate doses of opioids in a hospital setting are discovered unresponsive in the beds, succumbing to the fatal effects of respiratory depression. Additionally, many of these patients have a very common (up to 4%) condition called obstructive sleep apnea (OSA), or frequently display factors that put them at very high risk of OSA, such as obesity, daytime sleepiness, or loud snoring. Unfortunately, the hospitals often simply classify these deaths as “sudden cardiac death,” rather than acknowledge the true circumstances that claimed the lives of these innocent patients, and it is only through diligent investigation that the true cause is discovered. Sometimes this cause takes the form of medication over-administration, such as in a case we successfully handled (A’Brunzo) where the patient was placed on a patient-controlled analgesia (PCA) pump later discovered to have been erroneously loaded with a more concentrated solution of morphine, resulting in a six-fold overdosage of the prescribed dose, and subsequent cardiac arrest and death. In fact, it has been well known for more than 100 years that respiratory depression is a side effect of opioid administration, even when properly indicated and dosed. Unfortunately, only in recent years have organizations such as Pennsylvania’s Patient Safety Authority, and groups like the American Anesthesiology Association issued guidelines calling for the careful monitoring of the respiratory status of patients who are prescribed narcotic pain medications in a hospital setting. In a Wayne County case [Borsdam] handled by Feldman Shepherd, nursing staff failed to properly monitor a 45-year-old patient admitted for migraine headache treatment who was prescribed Dilaudid and Valium. This patient died in part because his treating doctors and nurses failed both to recognize his deteriorating respiratory condition, and failed to appropriately use available alarms and alerts on monitoring equipment that was readily available to them. Additionally, other medical organizations such as the American College of Physicians and the American Academy of Sleep Medicine have also recommended screening all patients who receive opiates for risk factors of obstructive sleep apnea, which further enhances the risk of respiratory arrest in patients on opioid medication. This simple screening, known as the STOP-Bang questionnaire can take as little as 2-3 minutes to complete and yet is often not performed. Also, tools like pulse oximeters that measure the oxygenation in the blood, and which can be tied into alarm systems, are in every hospital, but many hospitals still do not use them to monitor these patients who are at risk. For example, in one recent Chester County case [Sheehan], we were able to recover for the estate of our 51-year-old client who died during an admission for workup of non-specific abdominal pain. In this case, his own primary care doctor, who not only knew of his history of obstructive sleep apnea and a previous near-miss involving the same medication, failed to order the patient additional monitoring while he ordered the use of the potent opioid pain medication Dilaudid. It is time for clear standards requiring the close monitoring of all such patients receiving these medications in the inpatient setting. We have handled cases where patients have lost their lives unnecessarily due to systemic failures, when the patients had been admitted for non-threatening conditions such as migraine headaches, hernia surgery, on other low-risk situations. We would prefer not to see another case.